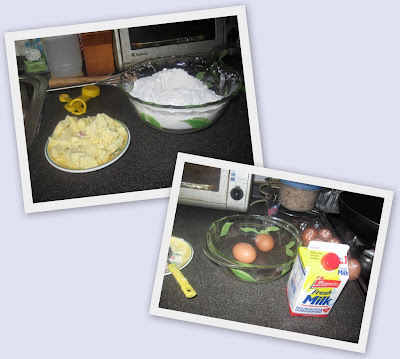 It's been a while since I last baked anything.. so today I decided to bake scones. 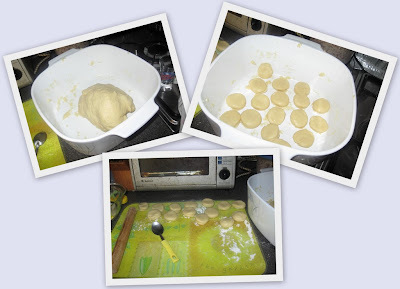 The receipe that I had makes 20 scones, so I halved the ingredients since it's my first attempt. In the end, I think cause my make-shift cutter was too small, I ended up with at least 30 over small-sized scones. I had more than enough to share with my family & my in-laws. Hope they like it. of coz... let me send it to u at ur personal email address. I came across ur blog thru' the link in WK's blog - 'Chappallang'. Thought I will find some interesting scones recipe, didn't know it is your blog! Hee! Musical Notes :- Welcome. Thanks for leaving a note for me.